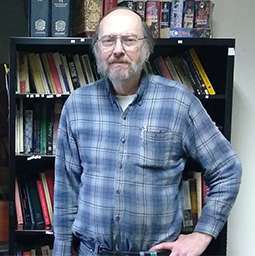 James Hunter has been teaching at the college/university level since 1976 and has been at Edgewood since 1992. His Ph.D. is in comparative literature from the University of Colorado at Boulder, and he did his undergraduate work (as an English major) at Vanderbilt University. In addition to a variety of literature courses, he teaches writing at all levels, including professional communication. His literary specialties include early English and European literature, as well as classical Greek and Latin literature and mythology. His most recently completed scholarly work is a translation of the Heroides of the first-century Latin poet, Ovid.